Summer is perfectly ripe for salad! 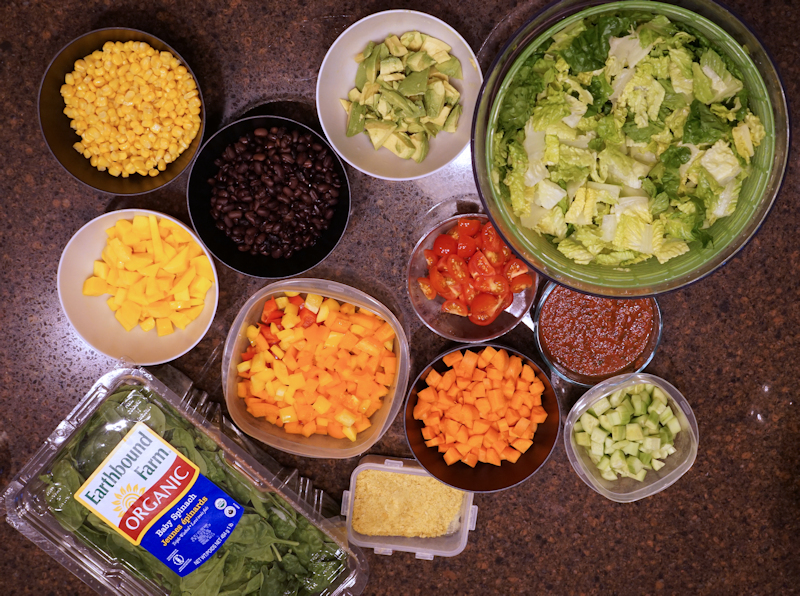 We love to chop a bunch of veggies and fruits, add beans, and make an enormous gorilla salad for lunch or dinner. We eat use the largest mixing bowls we have in the house to create our masterpieces, and the freshest organic ingredients. 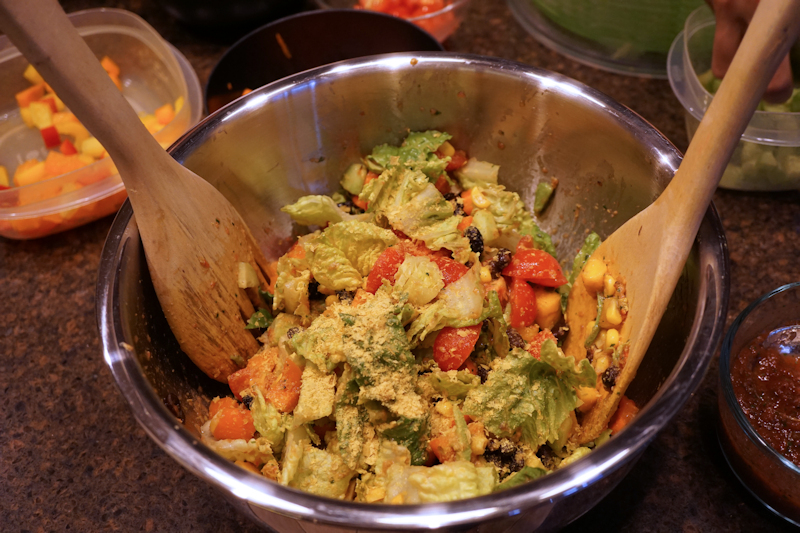 Today, we made a Mexican-Style Gorilla Salad. We included Romaine lettuce, spinach, tri-colored bell peppers, cucumbers, carrots, cherry tomatoes, corn, avocado, mango, and black beans. We dressed our salads with homemade salsa fresca and nutritional yeast flakes.